Larry King was once $352,000 in debt. He filed for bankruptcy twice during his lifetime. The first time he filed for bankruptcy was in 1960, and the second time was in 1978. 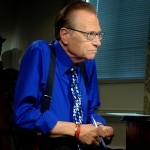 However, Larry’s luck changed for the better when he signed a contract with CNN and started Larry King Live in 1985. Larry King’s net worth is nearly $150 million. 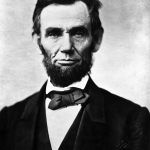 Abraham Lincoln filed for bankruptcy in 1833 after a failed business venture. Fortunately, his creditors gave him 17 years to pay off his debts. He eventually paid off all of his debts, earned the nickname “Honest Abe” and became the 16th president of the United States in 1861. History considers him one of the more popular, successful, and certainly iconic of our Presidents. Toni Braxton is a Grammy-award winning singer. At the peak of her career, she sold over 15 million records. However, she ended up $3.9 million in debt and was forced to file for bankruptcy in 1998. Fortunately, she bounced back after bankruptcy and eventually signed a $25 million record deal. Walt Disney had to file for bankruptcy in 1920 after his largest client filed for bankruptcy. After years of struggling financially, he created Mickey Mouse and started his own company. 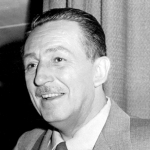 Walt Disney not only died a multi-millionaire, but his legacy still remains today. Milton Hersey enjoyed making candy. However, he did not have much success with a candy business at first. Hershey did not complete any formal education, but he did complete an apprentice at a candy shop. He decided to create his own candy shop in 1876. 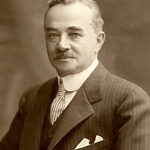 However, his candy shop failed, and he was forced to file for bankruptcy.Milton Hershey eventually founded the Lancaster Caramel Company. He sold the company for one million dollars in 1900. After selling the caramel company, he focused on creating the perfect milk chocolate recipe. 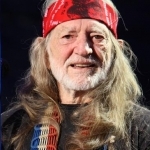 Willie Nelson is a famous country singer. Despite the fact that he sold over $50 million records, he filed for bankruptcy in 1997. He owed the Internal Revenue Service $16.7 million in back taxes. He also lost a lot of his assets, including a ranch he had in taxes. However, Nelson got himself back on track by launching the “The IRS Tapes: Who Will Buy My Memories?” He was able to pay off all his debts and build his wealth again. 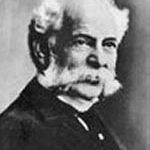 H.J Heinz began working with a company that made horseradish when he was 25 years-old. However, the business was not a lucrative as he hoped, and he filed for bankruptcy in 1875. The following year, Heinz and his family members created a new company. They began making ketchup, and the business quickly took off.Don’t let your financial hardships win. Declaring bankruptcy is often the first step on the road to financial recovery, and a good bankruptcy attorney will ensure that from the first step, you have a clear map back to financial stability. If you’ve gone through or are considering filing for bankruptcy, that doesn’t have to be the end of your financial journey. Herrin Law will ensure you land on your feet and have the best possible opportunities to move forward into a brighter financial future.